This will be a different post in comparison to my other posts, the idea for today’s post is simplicity, so let this write-up be simple too. Your finance can be overwhelmingly complicated if you let it be, otherwise, it will be as simple as eating your daily lunch. Keep these simple fundamentals in mind starting from the day one of your working life. They are valid for every one, for people with debts and for people with billion dollars in bank. As with your physical health, a better set of habits can strengthen your financial health. You need to master those skills and habits. you need to acquire that mindset. Only then you can effectively manage your finances on a day to day basis. Even with all the skills and habits, often we do better when we have a tool in hand. Finding personal finance problems and their cure becomes easier when we use a personal finance tool. 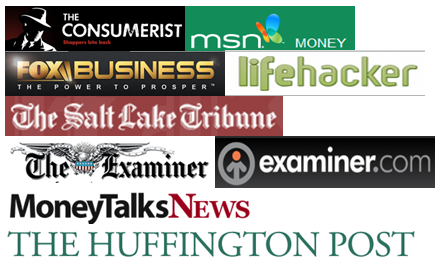 There are many free personal finance tools in the market, Yodlee, mint, quicken, etc. So, using one of these free tools is perhaps the most practical advice I can give you. Lately, I have been using Personal Capital, a free tool to manage your income, spending, budget and investments. You can read my full review of personal Capital. I suggest you start using personal Capital to see much needed improvements in your financial management skills. I never realized I was paying high fees for 401(k) plan, till I browsed through Personal Capital alerts. Among all the tools, this is most robust, secure, useful and easy to understand. Now let’s go through the essential habits of personal finance. 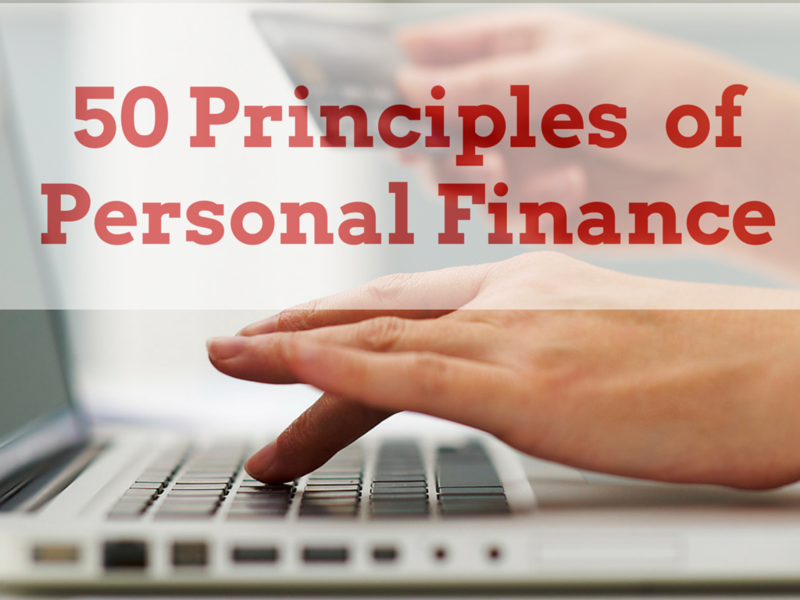 Base your financial practices on these principles. I am sure you’d get success. Even if you don’t get a million dollar in your bank account you’ll earns elf-respect and confidence that’d be worth many a million dollars. Practice simple living and consume less, get rid of clutter. Try to earn more and invest the incremental value for faster financial freedom. Pay-off credit cards in full every month. Use credit cards wisely. Spread your risk by diversifying your investments. Prepare a budget, and stay within. Use every stuff you buy, don’t buy things you don’t need. Always shuffle your investments, take out money from investments with lowest return and re invest regularly. Be prepared to adopt forced hardship to avoid debt or to become debt free. You can also live within $10,000 a year. Never miss a good opportunity to spend your money. Consume less and create more. Control you impulse buying habits. Teach your kids money as early as possible. Go cheap on vacation expenses and rich on creating experience. Keep your money safe in bank, not under the mattress. Take care of PC security when dealing with online financial accounts. Dispose off computers safely. Involve your family in financial planning. Set long-term and short-term saving goals and prioritize them. Utilize employee benefits as much as you can. Match 401 (k) contribution to the maximum. Less clutter and more space at home is good for health and money. File your tax returns on-time every year. Be truthful while filing taxes. Do not evade. Earning money illegally is a bad karma. Family should come first before money. Health should come first before money. Keep track of your net worth regularly. Always have a sizable and accessible emergency fund. Manage your own money, avoid hiring experts, only you can take best care of your money. Have a co-signer or co-owner in your investment accounts and checking accounts. Always have a beneficiary on every financial account. Don’t let your money be orphan when you die. Set your retirement goal, age and $amount, save for retirement. Earn money by doing what you love, you will automatically be earning more. Never cut back on things you cherish for. Home cooked meal saves money compared to dining out, remember some meals can be prepared even in 5 minutes, so you’ll always find time to cook at home. Keep on learning, work hard, be a valuable employee, to not get fired. Switch jobs to get a raise. Earn extra money on side if your time and family permits. Remember for every millionaire, there are a million starving. Help the poor. Give! Be happy and productive at work. Percentage of happy people among rich and poor are equal, so being rich doesn’t always bring happiness. Get the education that makes you happy and increases your earning potential. Remember that most important things in life are free, happiness, peace, friendship, love, etc. You only need money till you are alive, don’t just accumulate, give as well. A smaller family requires lesser maintenance cost, when you are cash strapped put off family expansion plans. Losing weight saves money. Obesity increases consumption, spend and health risks. Always be insured for your health, home, auto and life. Insurance keeps your wealth safe and protects from disasters. Hope many of these resonate with you. Some you may have been practicing already. How many of these you follow or plan on to follow, readers? simple way to put a complex science. You really make it sound simple and any body’s game. I think this is a good list and I follow several of them for myself. It definitely shows how many choices there are to make in personal finance, and highlights the “personal” part of the term. Great list. I think you are right about it being anybody’s game. It is just a matter of where your priorities lie. you set your own priority, follow few of the rules, ideally we should follow all of them. You can start with , say 10, gradually go on increasing, eventually you will reach there. I like these in general, but #10 is bad. This is chasing performance and we know this doesn’t work. If you did this during the 2008 crash, you would have taken money out of the market at the lowest point and missed the recovery. I did make a point to leave stack investing to experts, unless you consider yourself expert you shouldn’t be investing in stocks directly. Mutual funds are the way to go. Very nice simple list, thanks! All great tips! Especially listing a beneficiary, I am actually working on a post about that right now. Nice list. I follow a lot of them, but some of them I don’t follow/agree with. That is why it is “personal” finance. yes its personal in-deed. as they said there are various roads to success, what is important is to stay on course. we as a writer can only advice others, and implement in only our personal lives. 50% of failure is due to lack of direction, 50% is lack of execution. At least we can try to address 50% through our blogs. well known in mind. Need to book amrk it to memorize. I want to make a practice of the ideas. Not all of them I don’t agree with some as other comments mentioned. thats nice of you to bookmark. Can you specify which is that you don’t agree with, may be we can work together to get more understanding.. Followed some links from other blogs & came across yours. #12 & #39 in this economy are not necessarily true. My company has not been able to pay cost of living raises in 3 years, so those who have maxed out on the pay scale are stuck with no raise. And layoffs can hit any employee, with tenure at the job being one factor in who goes & who stays (especially if there’s a union involved); good performance could help delay the inevitable but isn’t a sure thing. First of all thank you for stopping by and commenting. I do agree sometimes things are not in your control or your boss’s control. We all might loose job any day. but if you do follow 12 and 39, you will be better prepared to get through other jobs or there will be a greater possibility of you being re inducted in to the company when things turn around, isn’t it? Great tips – I think the most important ones are family first, money second and health first, money second. You cant go wrong if you follow those! Nice post, though. Keep them simple, short and sweet. thanks 101, you often don’t have choice, but if you follow 39 you will get another job, probably better that the old one. I follow many of these, but there are others where I am obviously way off. I will continue to strive, but right now I am focused on paying off credit cards, so I can work on paying them off each month. Got behind due to job loss, but we are going to make it happen. Nothing like the feeling of not owing anyone anything! Great tips….have a hard time understanding why you would advise a “small family” though, when your best advise was to put family first…. All I meant was to have as many children as you can afford without sacrificing your life style and theirs. Why give birth to some one we can not even provide food to? I like the way you mix things that you can do with lifestyle philosophies. Hi SB. I found you through your post on Get Rich Slowly. Great list of sensible ideas. It was a revelation to me recently that by me overeating I start a spiral of money-wasting: eat more ( money) , lose weight (money). For someone who came from a frugal family ( just like yours) it was so far one of the best motivators to stop eating more! What do you mean by this, and how does it help me? the wealth, no pun intended, of wisdom stashed away in your archives is a real treat. found this from your recent getting started post. great compile, this one, and universally valid. Thanks Subhorup, this comment sure to encourage me to write better posts. This is a great list. I love the one about vacations….especially because the $ you spend has almost no relation to creating great memories. Thank You, vacation often are important though, specially for kids it works as important education on history/geography,etc. These article is really worthful for us. The points are valueble treasure for my life. i will keep follow those points. I really like 26 & 27! I will admit there was a time when I was putting money before my health and as a result my body suffered severely. As for family I have not done it personally but I have seen someone put money before family and it was an awful sight. You are most welcome Sandra. You can add a few if you want. I reread these sometimes as I think there is a lot of wisdom in them. I think #12 should be re-worded to reflect your thought more effectively. I’m an appreciate about your post. You mentioned how to get Personal Finance and why it should be done. Getting Personal Finance is a very good habit, which holds its life secure, although many insurance companies provide good benefits for insurance and if the benefit is kept in mind, then there should be insurance of their life, I believe, that futures are It is important to be insured if kept in mind.